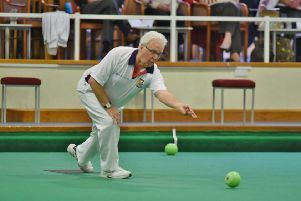 Nicky Brett plans to complete his bowls CV this week. The only major honour that’s eluded the 40 year-old from Yaxley in his bowls career is the word indoor bowls championships. In six previous championships, Brett, who bowls for City of Ely and Warboys White Hart, has yet to get beyond the semi-finals and tonight (January 18) he launches his title bid against James Rippey in Hopton-on-Sea. “This is the big one on the indoor bowls calendar,” said Brett, “and it’s the only one I’ve got missing from my CV. “I would love to get my hands on the trophy this year, but if not, I will be back next year. “I’m playing well enough to win it, but you need a bit of Lady Luck at times as well to come through a championship like this. First-round opponent Rippey is an established, world-class bowler. “James has been around for a long time,” said Brett, a married father of two teenage girls. “I’ve known him since I was playing in under 21s and he’s won major tournaments on the circuit. “Whoever you play, the first round is always tough. You just want to get it out of the way. “There is perhaps a bit of extra pressure on me because I’m world No 1, but there’s more pressure on the No 16 who has to win to stay in the rankings. In his teens, Brett was also a promising cricketer. He was an all-rounder for Cambridgeshire Under 17s before a knee injury set him back and he decided to concentrate on bowls. BBC television are covering the world championships, which conclude on Sunday.